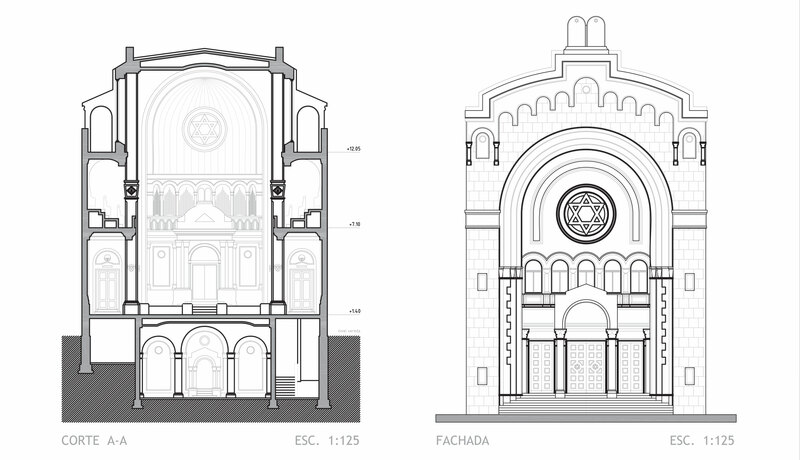 Templo Libertad is a synagogue situated in Buenos Aires, Argentina. 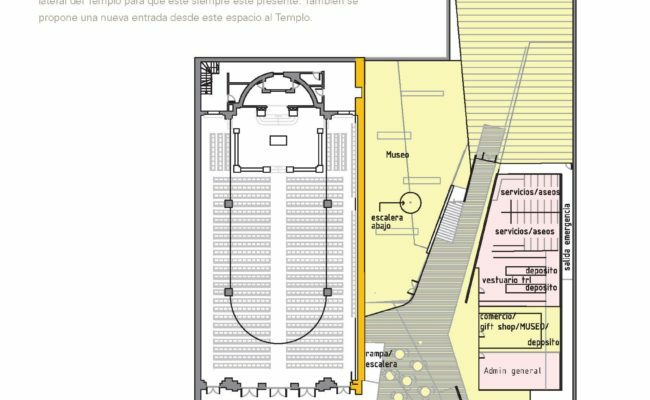 The synagogue is home to the Congregación Israelita de la República de Argentina (CIRA). 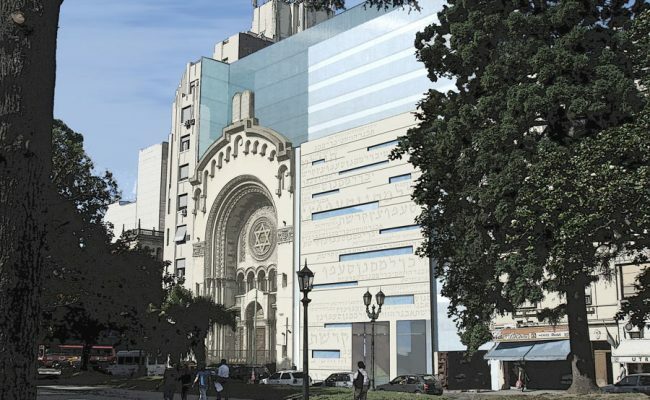 In addition to the sanctuary and support spaces, the building houses a Jewish history museum, rooms that exhibit a diverse range of masterpieces related to Judaism, and a kosher restaurant. 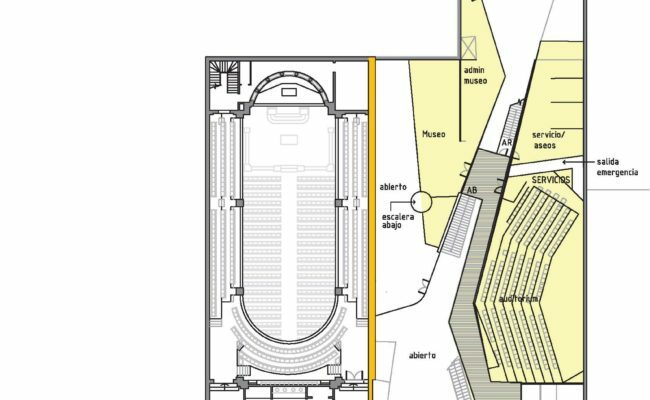 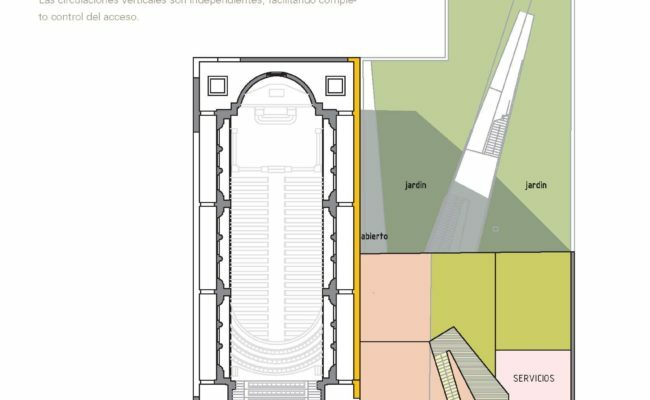 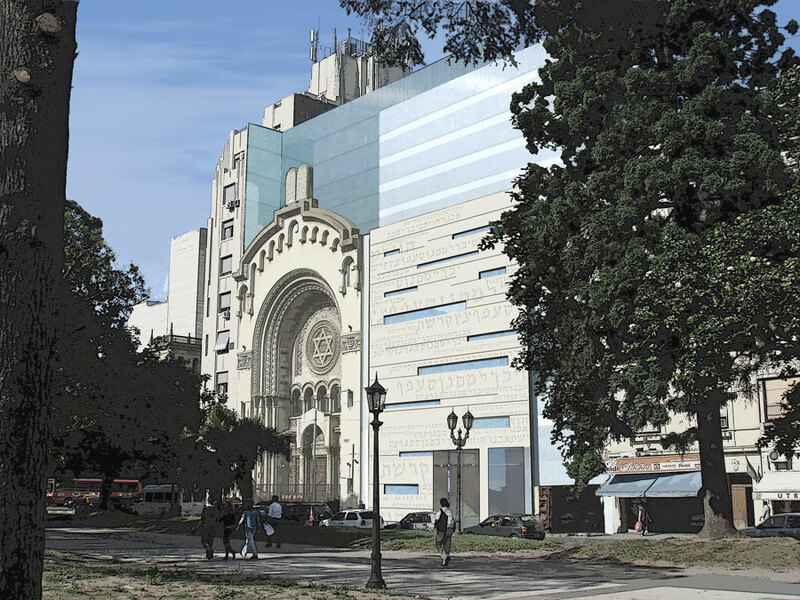 The master plan was designed to highlight the historic structure, adding a facade that generates a transition between the original building and the front silhouette corresponding to the Plaza Lavalle, where the synagogue is located. 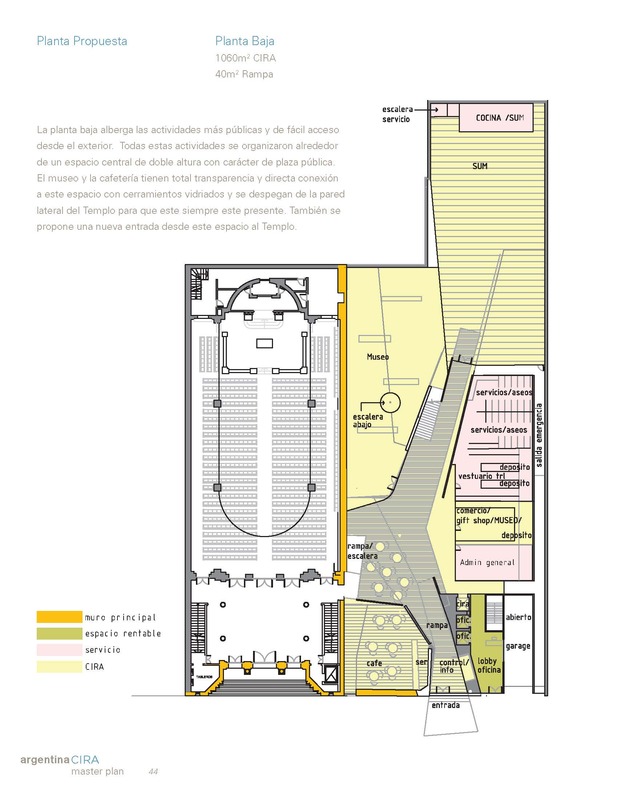 Although the design of the addition is contemporary, it carries religious significance in texture of the new facade, compose of low relief Hebrew text, alluding to the “Open Book” and the concept of Open House for all people already included in the texts inscribed on the historic facade. 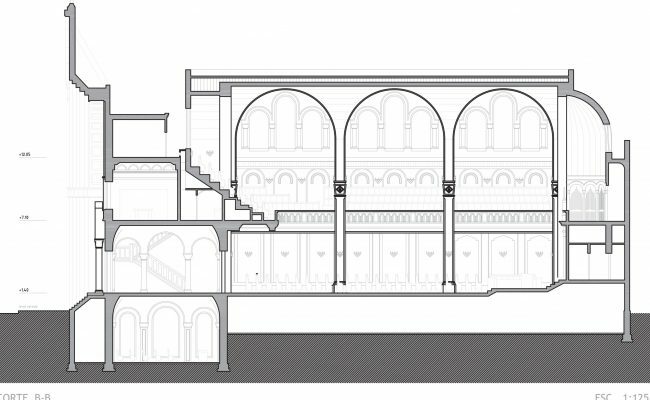 Behind this symbolic facade, glass skin connects the building with the rest of the block. 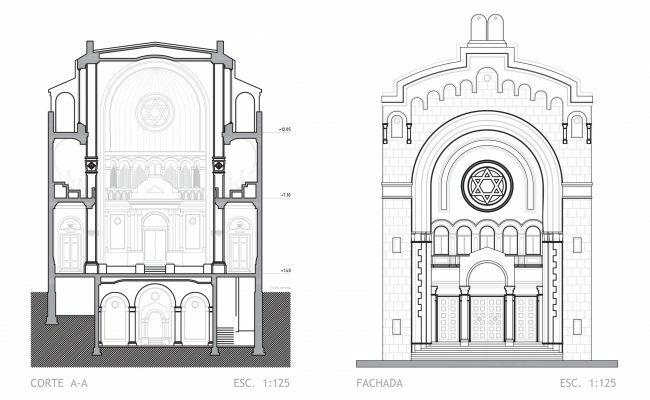 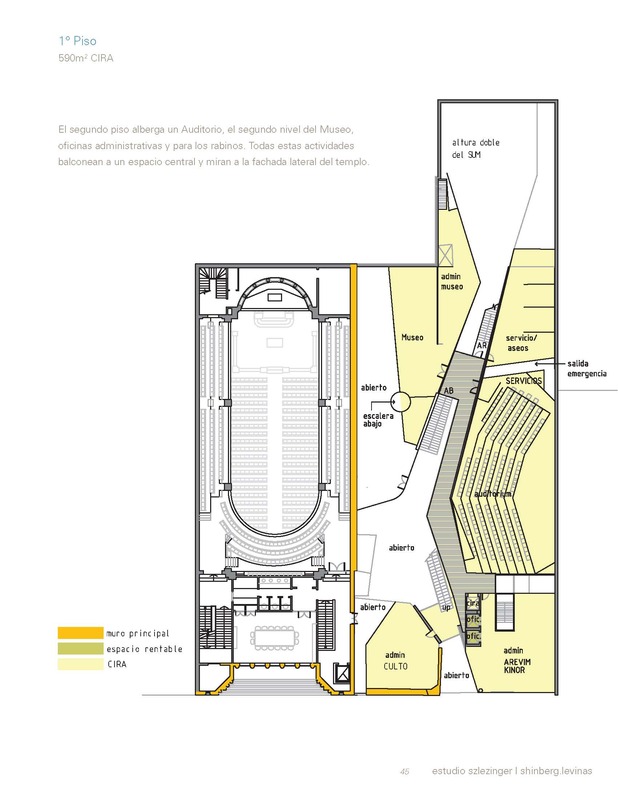 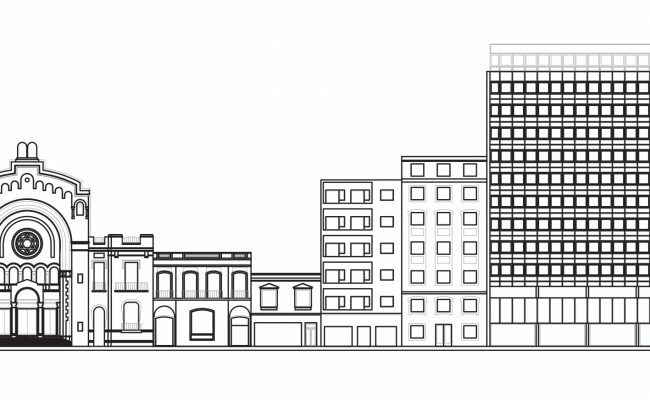 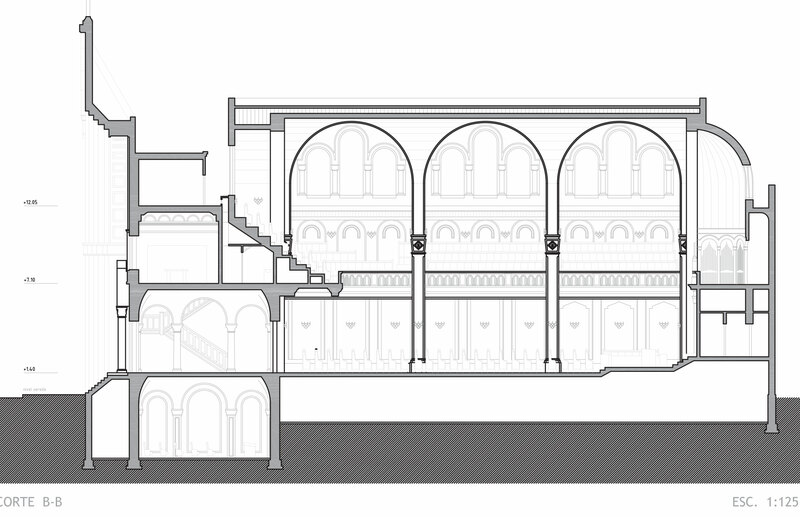 This project involves the restoration of one the oldest synagogues in Buenos Aires, as well as construction of a completely new arts center that will be attached to the synagogue. 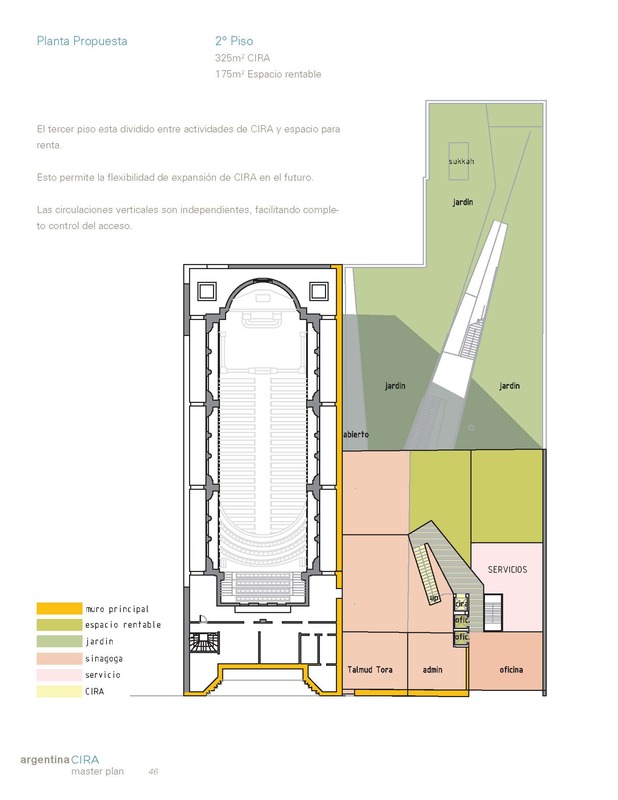 Deliverables included a Feasibility Study document, with a master plan outlining project goals and scope.